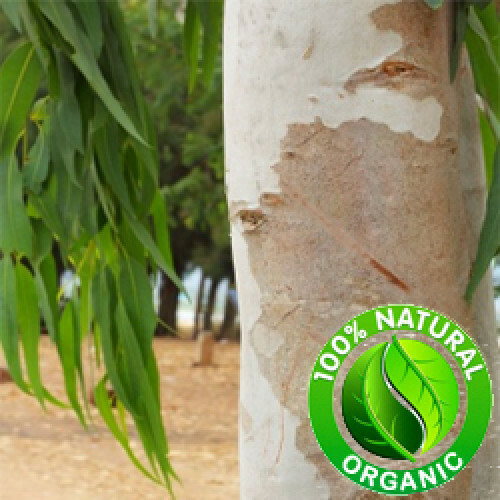 Description: The Eucalyptus tree is a tall evergreen that grows over 250 feet tall. The young trees have bluish-green leaves, while mature trees develop long, narrow, yellowish leaves, creamy-white flowers and a smooth, pale gray bark often covered in a white powder. Aromatic Scent: Eucalyptus Lemon Essential Oil has a camphoraceous odor with a sweet, citronella scent.